For all the discussion surrounding the potential for blockchain to transform advertising and media-buying, relatively few ad execs have actually used it to date or plan to use it in the near future. 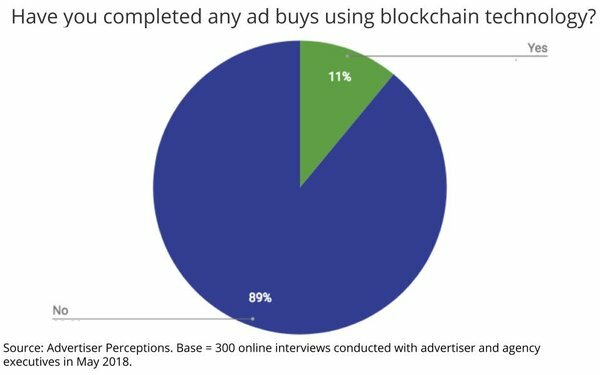 The findings, which come from interviews with 300 advertiser and agency executives conducted by Advertiser Perceptions in May, indicate that only 11% have utilized blockchain to date, and 13% of those who have not plan to do so in the next year. Findings of the study were used to create a report commissioned by Kochava/Xchng, which provides a basic boilerplate for the implications of blockchain, but more or less indicates the ad industry is still in the early innings. The study found that slightly more than half (52%) of the respondents have already met with blockchain technology providers. The provider most cited was IBM (27% of respondents), followed by Google/DoubleClick (12%), Oracle (9%), Cognizant, Microsoft and Amazon (5% each). 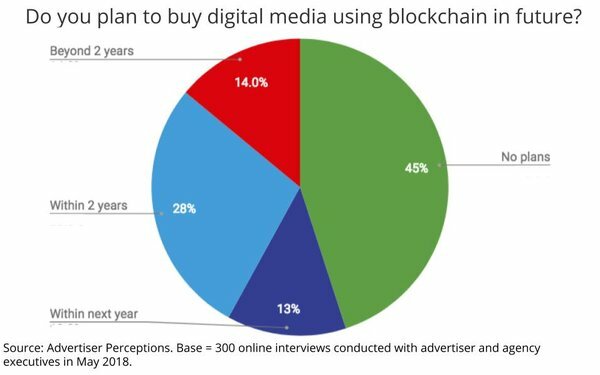 The dominant reason that ad execs cite for incorporating blockchain into their media-buying is “transparency in the digital media supply chain,” followed by lack of accuracy in data targeting users in digital media.